Hi there! 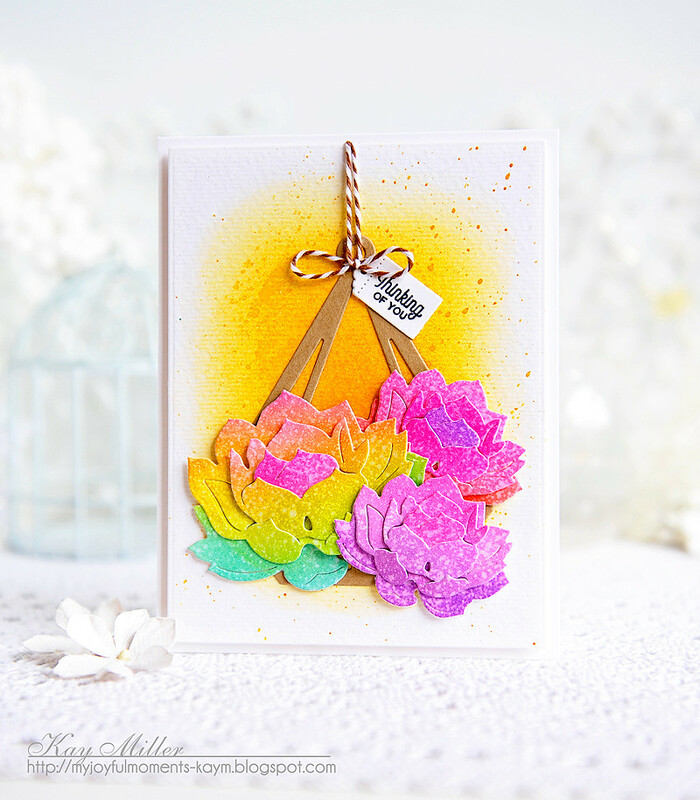 I am super excited to be sharing some cards with you today that I created with some brand new stamps and dies from the sweet and oh so talented Betsy Veldman! She has opened up her own store now called The Greetery, and this is her first release. I am SO excited for her and for us, because her designs are seriously some of my favorites! Her creativity and talent knows no bounds! 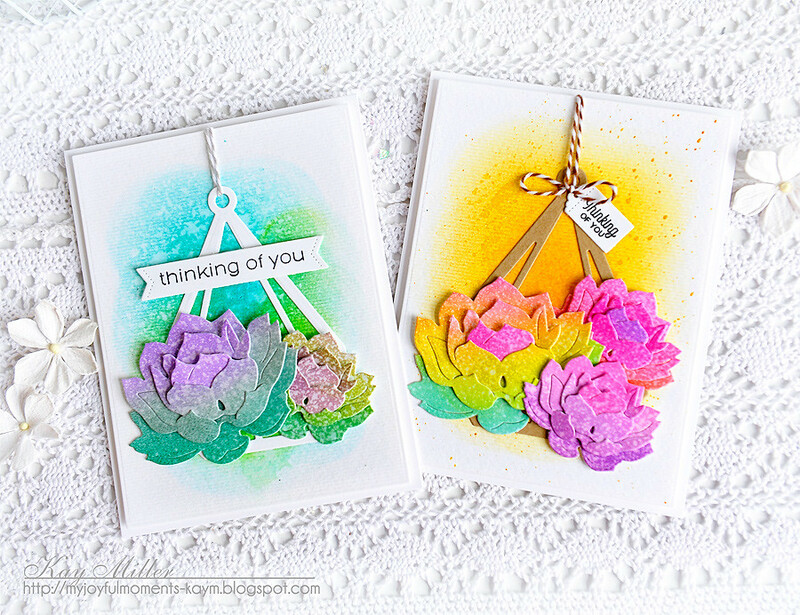 Today we are showcasing several of her new products, BotaniCuts Succulents dies, Terrarium dies, Sentiment Suite: Thinking of You + Basics dies. 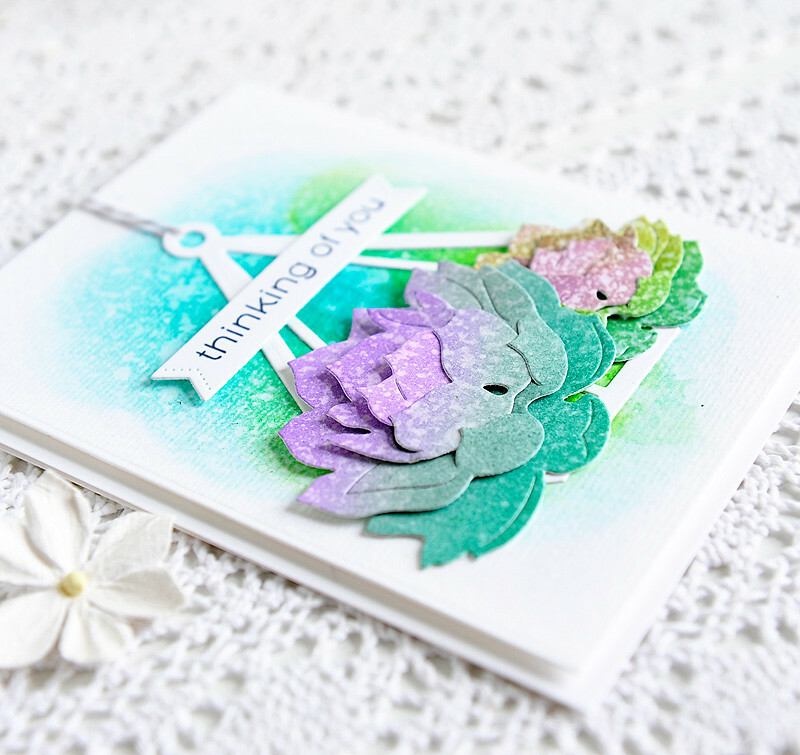 Be sure and check out all of her beautiful samples and more information on The Greetery Blog! And connect on social media: @the_greetery on Instagram, and The Greetery on Facebook. All of the new products that I am sharing today will be available to purchase on Friday, April 26th, 10AM ET at The Greetery. For my first card, I used Distress inks in Mustard Seed and Fossilized Amber to create my background. I blended several different colors of distress ink onto Bristol board panels, spritzed thesis with water and let them dry. I then used those to cut the beautiful succulents from. There are four dies for each succulent and it comes in two different sizes. They are super fun to color and layer for so many fun and unique looks! I cut the Terrarium die out of kraft card stock and added a little Baker's twine hanger at the top with a sentiment from the Sentiment Suite: Thinking of You stamp set. My second card was created much like the first one, just using different colors of distress inks to create a completely different look. I used a piece of Baker's twine to create a hanger at the top and added the sentients across the top. I hope you have enjoyed seeing what Betsy has coming so far! Don't forget to check The Greetery Blog for more sneak peeks from Betsy! I am just one of the guest joining The Greetery today! Be sure and check out what the other talented designers have created! 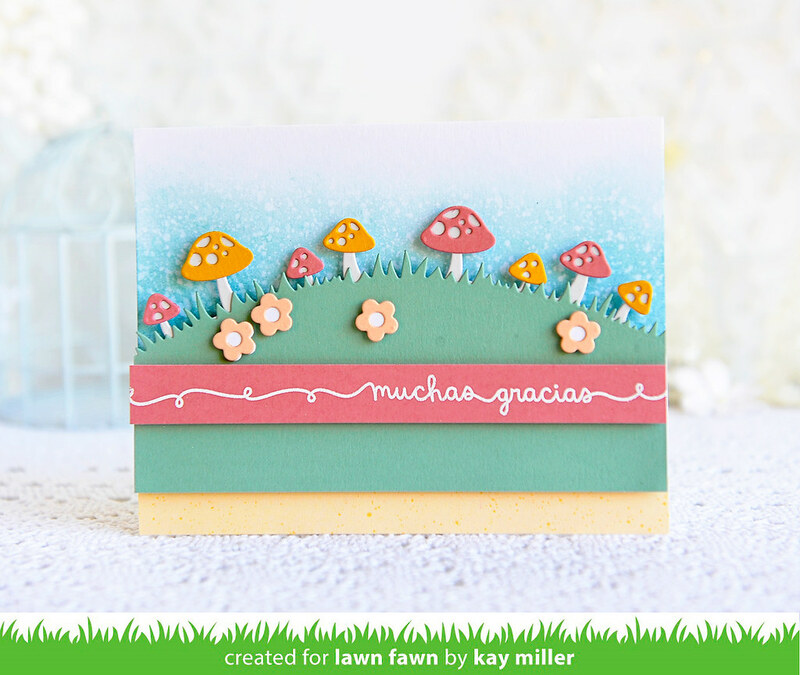 Today we are showcasing the Spanish Scripty Sayings stamp set along with all of the new card stock colors! So for my card today, I blended some Distress ink for my background and spritzed with water. 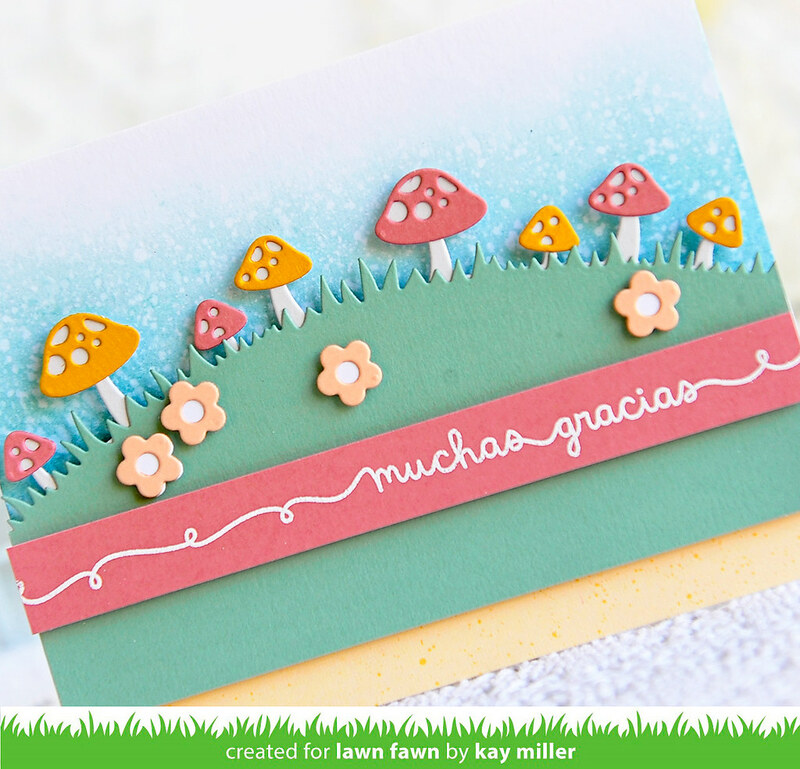 I cut the mushroom border base out with the new Fog Card stock, and the tops with Pencil Eraser and No2 Pencil. The grass is cut out of Sage Leaf. The yellow paper underneath at the bottom is from the Spiffy Speckles paper pad. The sentiment was heat embossed with white embossing powder on the Pencil Eraser card stock. I cut that out and added it to the card with foam tape. Lastly I cut the little flowers out using the Straight Flower Border dies, and the Apricot card stock, and added them with foam tape. 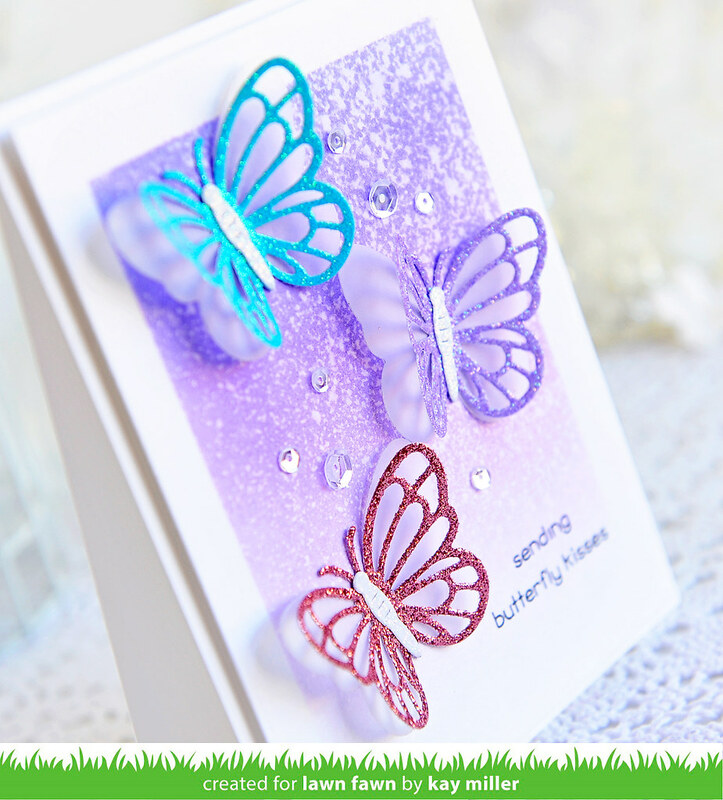 Today we are showcasing the Layered Butterflies dies. I started by blending some Distress ink onto the background and the spritzing with water. I cut the top layer of the butterfly dies out of the new Sparkle card stock, Spring, and the bottom layer out of vellum. I glued these to my card front with liquid adhesive then bent them slightly to make them pop up. 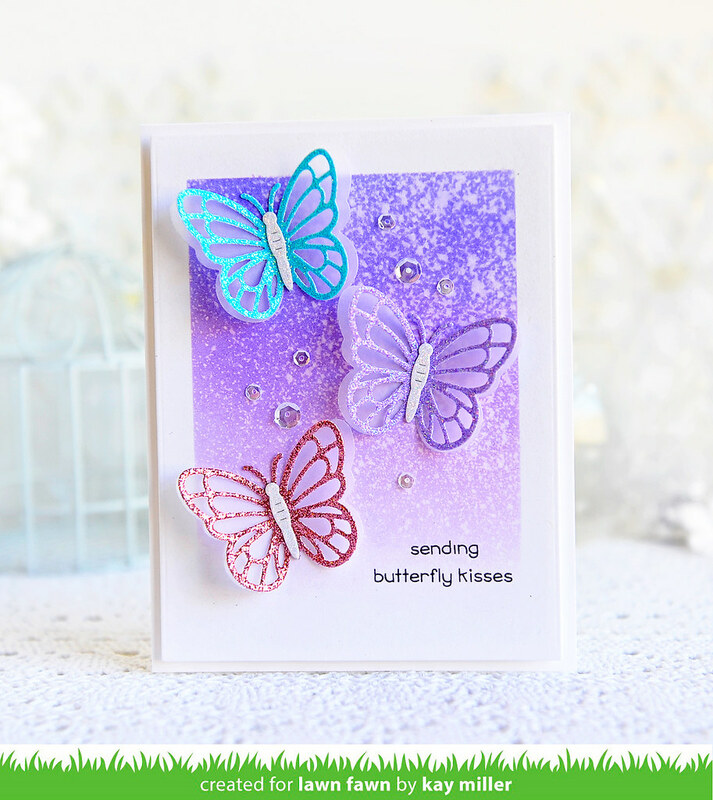 I stamped the sentiment from the Butterfly Kisses stamp set in the lower right corner, and then added some clear sequins. 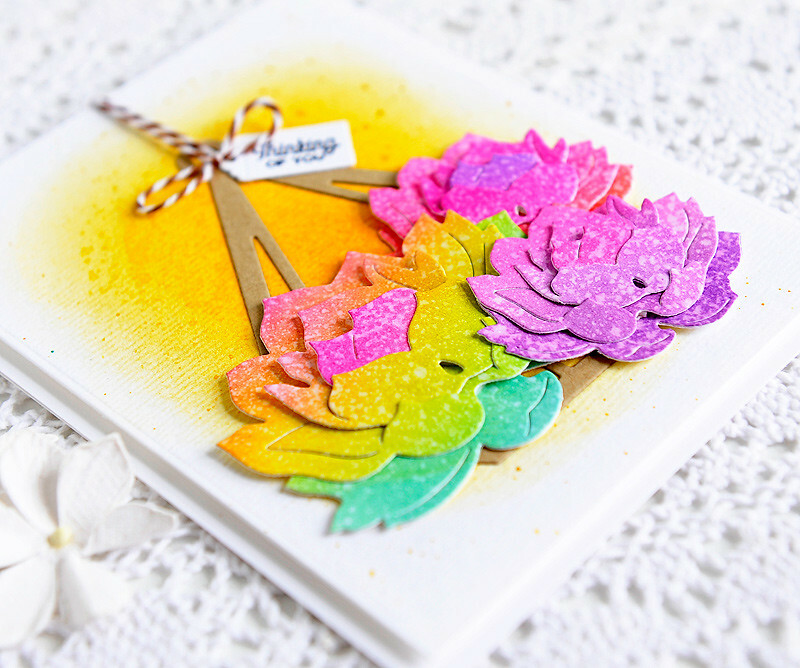 Today we are showcasing the Happy Mother's Day Line Border Die along with the Really Rainbow Scallops paper pads. So for my card today, I glued a strip of paper from the Really Rainbow Scallops 6x6 paper pad across the top of my card. 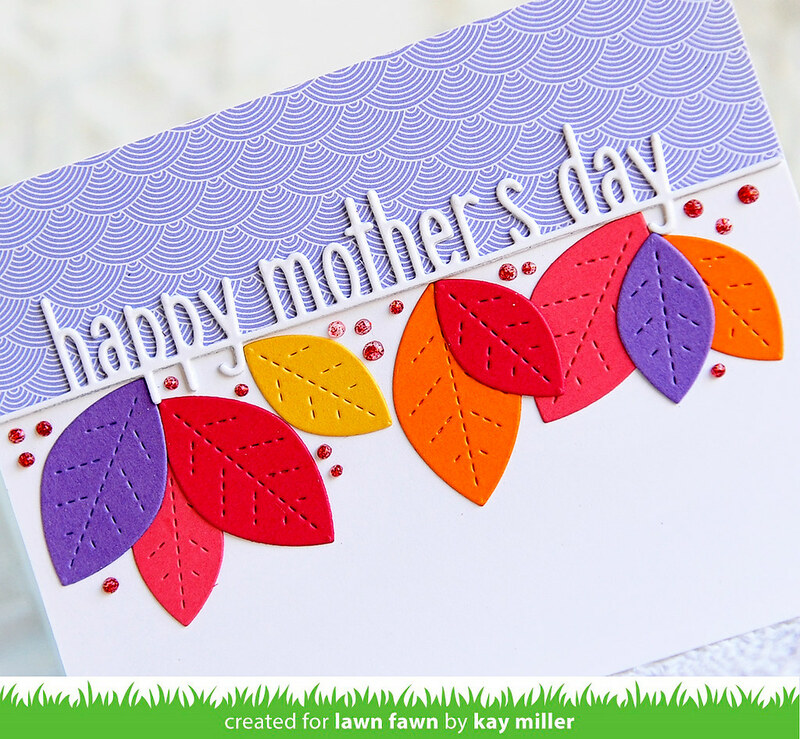 I then layered two of the Happy Mother's Day Line border die cuts along the bottom. The leaves I cut from different colors of card stock using the leaves from the Stitched Flower Frame dies. I glued those along the bottom of the Happy Mother's Day border, and added some dots using Nuvo Glitter Drops in Ruby Slippers. 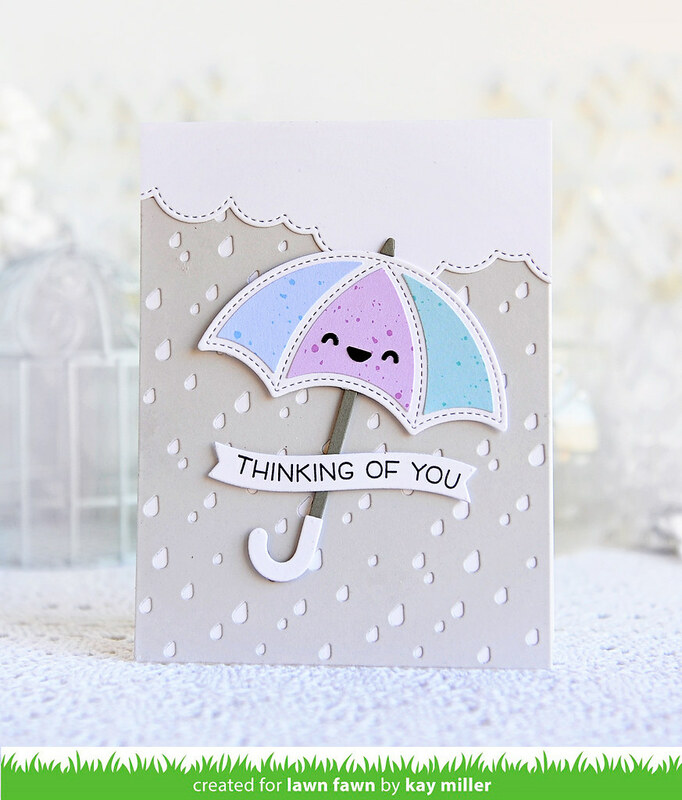 Today we are showcasing the super cute Stitched Umbrella Dies and the Rainy Backdrop Portrait. 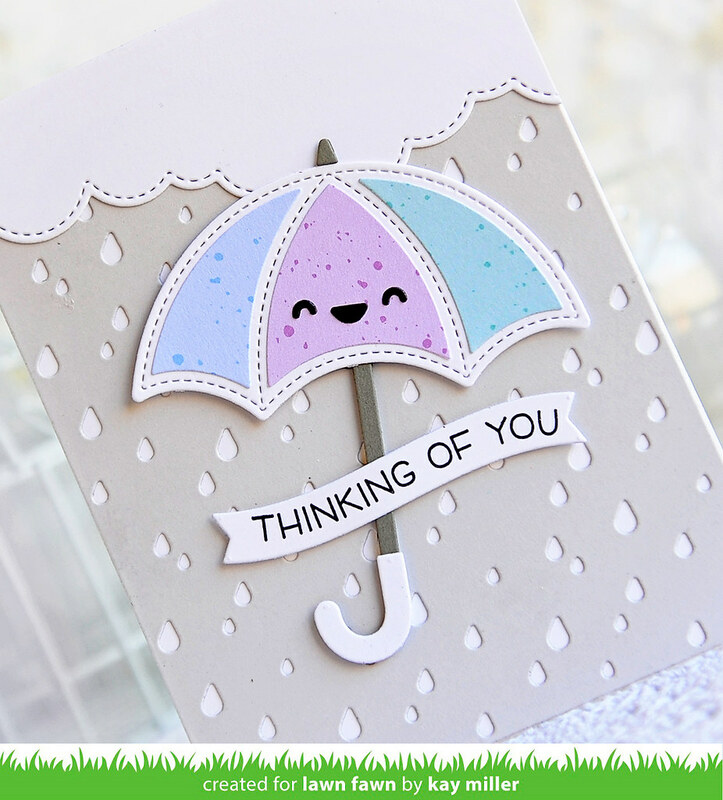 I used the new Fog card stock to cut the Rainy Backdrop out. Its a beautiful gray! I really like it a lot! I layered this over a white card base. The umbrella was cut out of white card stock and I added the pieces cut out of paper from the Spiffy Speckles 12x12 paper pack. 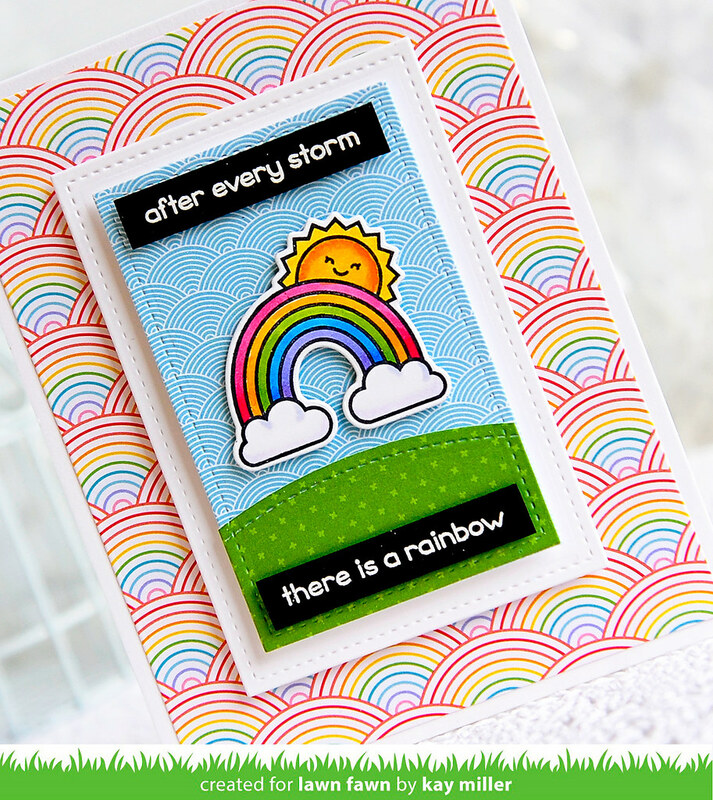 The sentiment is from the Wavy Sayings Stamp set and it was cut out with the Simple Wavy Banner dies. 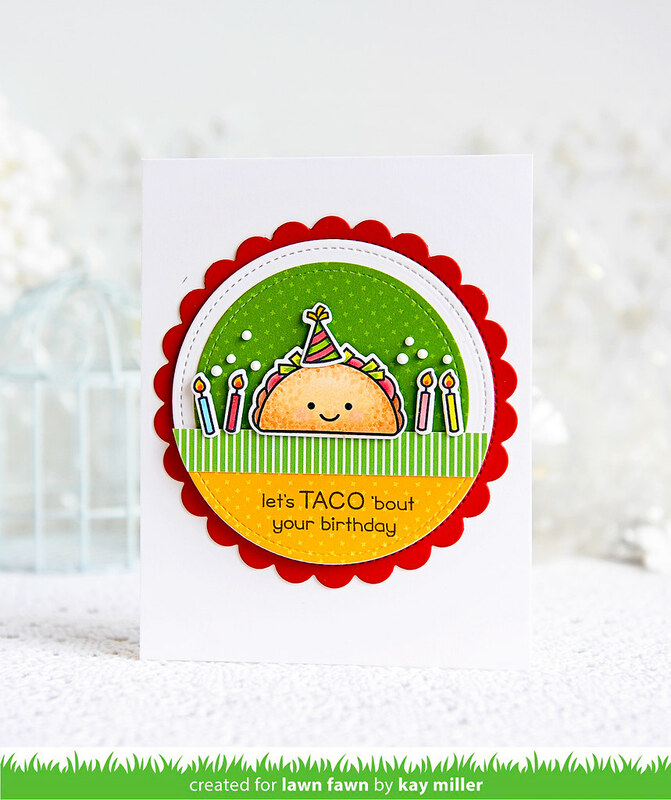 Today we are featuring a cute little stamp set with coordinating dies called Year Nine. How about that cute little taco now? It was fun to color! I used the Stitched Scalloped Circle Frames along with the Stitched Circle dies to create the round background. I used paper from the Spring Fling 6x6 pad and the Really Rainbow Scallops 12x12 pad. 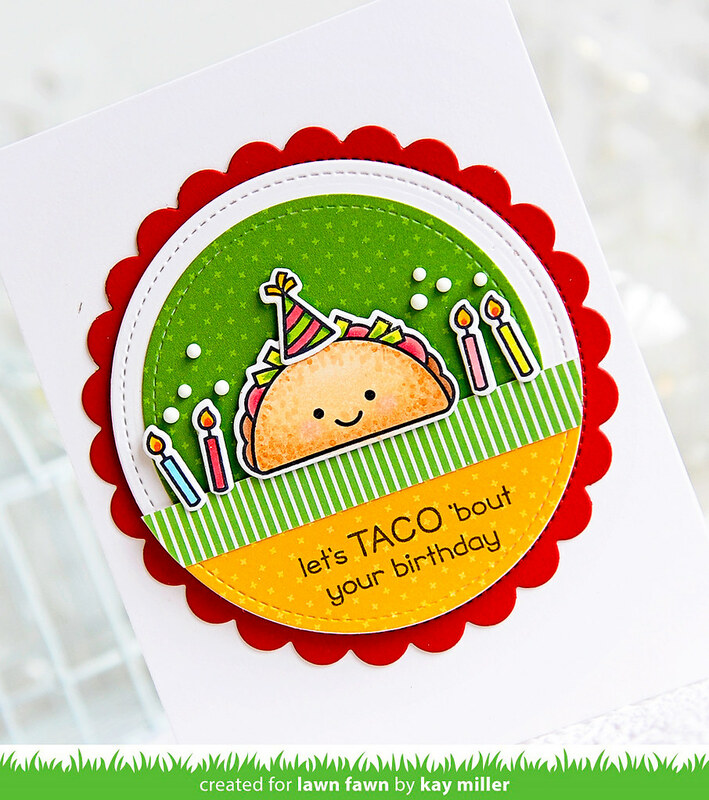 The cute little taco and candles were colored with Copic markers, cut out with the coordinating dies, and adhered with foam tape. I added the small white dots above the candles with Nuvo Crystal drops in gloss white. 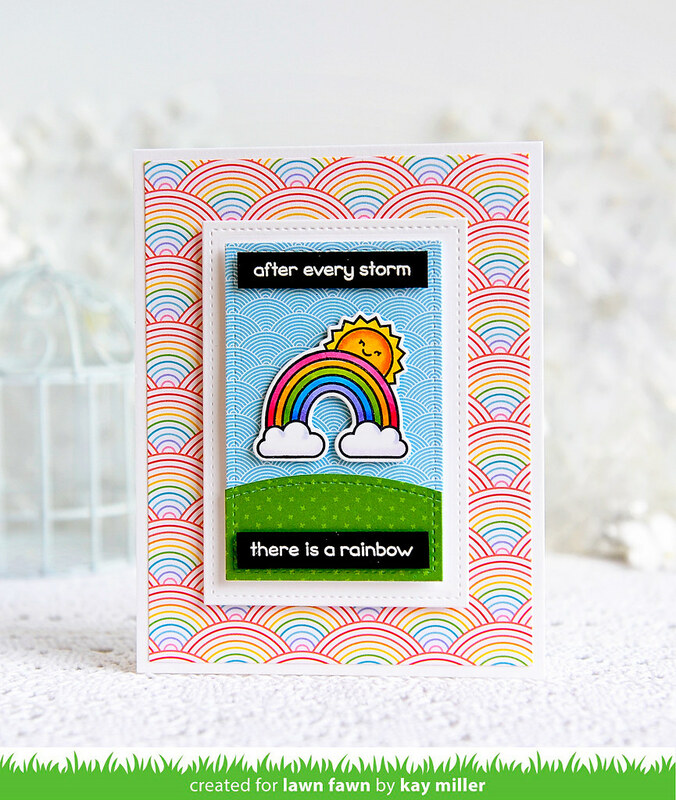 Today we are showcasing a really cute stamp set called Rain Or Shine Before 'n Afters. For my card today, I used paper from the Really Rainbow Scallops paper pads. The background on the main card is from the 12x12 pad and the smaller patterned in blue for the sky is from the 6x6 pad. The grass hill is cut from paper from the Spring Fling 6x6 pad. The image was colored with Copic markers, cut out with the coordinating dies and adhered to the card with foam tape. The panels were cut using the Rectangle Stitched Dies. The sentiments were stamped with Versa Mark ink and heat embossed with white embossing powder.